It seemed that the gorgeous emeralds from of Mingora (Pakistan) were discovered fairly recently – in 1958. Recent finds though show that these stones were mined some 2500 years ago and as jewels served for the rich and powerful in Ancient Rome, in the area of present-day France! Back in 2000 a group of French scientists made an analysis of oxygen isotopes in several pieces of old jewelry (1). This interesting method allows to find out the place where the emerald has been originally found. Results were very interesting – e.g. 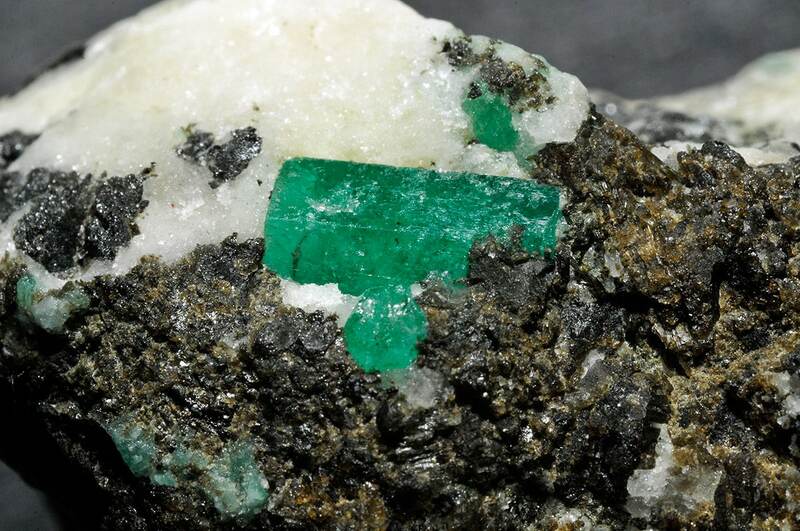 several centuries old emerald from the treasury in India originated… from Columbia! Emeralds in French crown were (rather unsurprisingly) from Habachtal, Austria, where the best emeralds in Europe are found. The biggest surprise was a 2500 years old earring from present-day France. Emerald in this earring comes from the distant Pakistan, Swat Valley, most likely – Mingora mines. Thus, the small but precious gem was transported all the way from the western part of Himalaya to the western part of Ancient Rome! Thus emeralds from the Swat valley are known to people longer than most of the other emerald mines, e.g. the famous Cleopatra mines in Egypt. May be locals knew about these emeralds but the outside world forgot about the Swat valley emeralds for millennia. 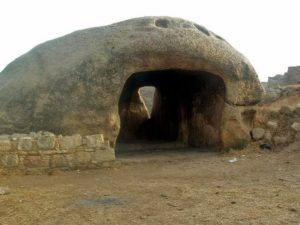 There are also political reasons for this – since the 5th century AD the ancient states in this area of Asia collapsed and long, "dark ages" started. In some respects, this time continues up to this day. Only in 1958 the mines were rediscovered. At first, this mine was owned by a local prince who put strict limitations on visits to this area. In 1968 mines became a property of the government and more people were involved in mining and getting profits from the stones. From 1979 till the late 1990s mines were managed by the "Gemstone Corporation of Pakistan", but since 1995 this is a property of the local government. In 1998 – 2010 mines were almost inactive. In 2009 the valley was taken over by local Taliban. These people plundered the mines and got huge wealth. In this time the emeralds from Swat Valley got a menacing nickname – "Blood Emeralds". Mining of good quality emeralds always is a lucrative business. Almost always… mines in Swat Valley are outdated, the workforce is unskilled and works badly planned. Currently it is though less profitable due to finds of larger emeralds in Zambia, and, of course, the superior emeralds from Columbia. This is a result of weak governance in the province and Pakistan as a whole. 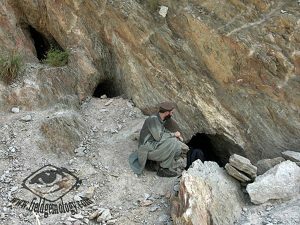 As a result, only one of three mines is active now in Swat Valley – Mingora mine (Fizzagat mine). Mine has open pit mines as well as mining tunnels. Locals have been looking also for the stones in Swat River and other nearby streams – and sometimes with good success. There have been found other mines as well – but no one has started large-scale extraction of emeralds there. Emerald mines of the beautiful Swat valley are the best in South Asia and belong to the best emeralds of the world. It is assessed that Swat mine has some 70 million carats of emeralds. Emeralds here are comparatively small – up to 5 – 6 grams heavy. 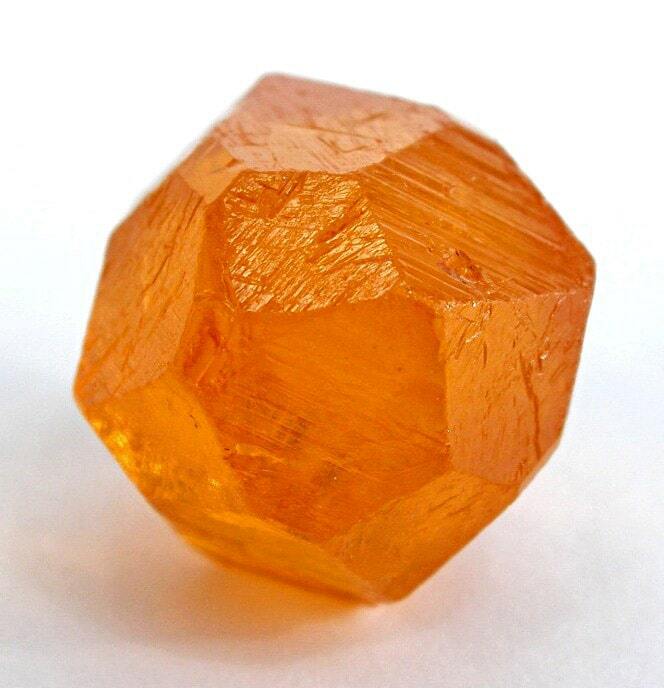 Many crystals have a fine hexagonal shape. Here emeralds are transparent, in deep sea green color. Swat emeralds have certain chemical differences from other emeralds – they got more chromium and less vanadium than other emeralds of the world. Due to their small size these emeralds rarely serve as a centerpiece of jewelry – these deep green stones serve as smaller side stones. The rare larger stones look very dark. 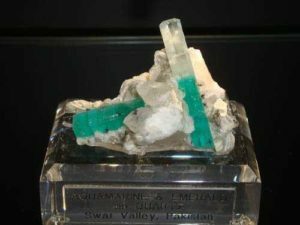 Emeralds of Swat Valley are found in carbonate-bearing talc schists and quartz veins, in irregular clusters which have a diameter up to 15 cm. In this area have met two tectonic plates – Indo-Pakistan plate and Kohistan arc and under the pressure have formed metamorphic rocks – schists. Vincent Pardieu and Guillaume Soubiraa, Oxygen Isotopes and Emerald Trade Routes Since Antiquity. Field Gemology.org, September 2006, page accessed in the 21st February 2015. Pakistan has huge natural diversity and plenty of impressive natural landscapes from the desolate, eerie sights in southern Makran to some of world’s tallest mountains in the north. An ambitious, lavishly illustrated survey of the most valuable of precious gems.